If we had the opportunity to walk along a Barcelona beach a hundred years ago, what we would see would be surprising. The beaches of Barcelona were not places to show the body and tan, beaches were places to perform sea treatments or wave baths and in regard to clothing, women had to cover. It was also an eminently bourgeois activity, the beaches were an ideal place to be seen, have fun and of course, wear models that at the time were white, long dresses, with sleeves and made with lightweight natural materials such as cotton or linen. In Barcelona, ​​at the end of the 19th century, the sea began to be reclaimed as a place for practicing outdoor sports and as a space for leisure and culture. There will also be a great demand for bathing establishments and in 1912, near the Bogatell area, the Mar Bella baths are inaugurated. It will be in Barceloneta, in the baths of Sant Sebastià where men and women will be allowed to share space. Evidently at the time it was a scandal. The sea has always been present in the life of the people of Barcelona. In fact, the first Romans settled by the sea, and for two thousand years the Mediterranean has witnessed the history of the city. 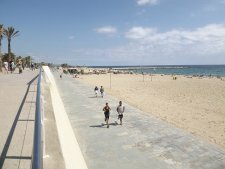 Currently, the beaches of Barcelona that delight millions of bathers every year are the result of the transformation of the city that began during the Olympic Games and ended with the Forum of 2004. 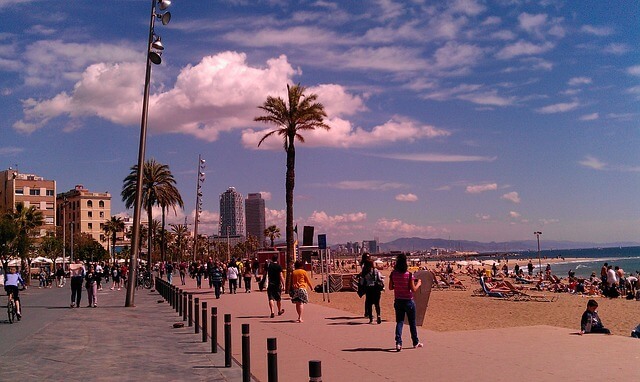 Prepare your swimsuit, your towel and sunscreen, we go for a walk along the beaches of Barcelona. This is the busiest since it is very close to the Barceloneta metro. It is 578 meters long and you can rent sun beds and umbrellas. In addition, it has a book loan service. If you plan a long and relaxing day at the beach, it is ideal because of the proximity of bars and restaurants. Bus: lines 14, 16, 17, 36, 39, 40, 45, 51, 57, 59 and 64. Metro: Barceloneta and Ciutadella, line 4. It is 522 meters long and if you like sports, it has a gymnastics area. Also, if you are a sports group, you also have volleyball fields. The name is recent, and is a tribute to the neighborhoods of barracks that were in the pre-Olympic Barcelona. Its location between the Barceloneta neighborhood and the Olympic Port is ideal to enjoy a lunch in one of its delicious restaurants or a walk through one of the most characterful neighborhoods in the city. This beach receives the name of the nearby church of Sant Miquel, located in Barceloneta and is one of the oldest. 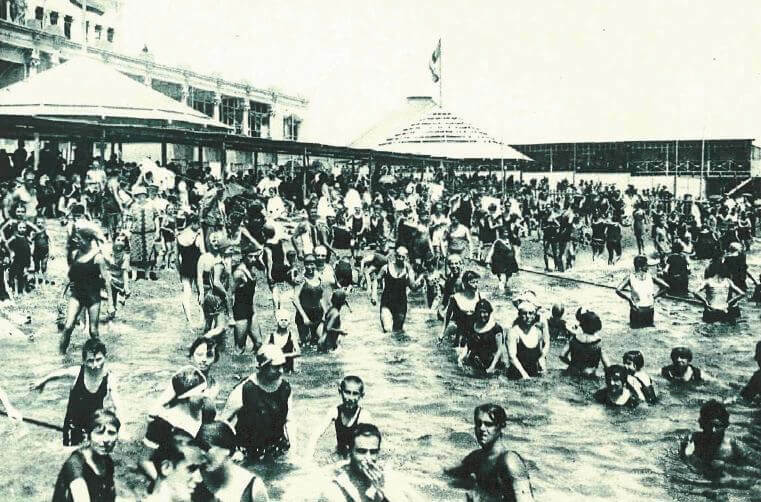 In fact, it was conditioned in 1755, when sea baths were recommended for therapeutic purposes. Despite being a small beach it is one of the busiest in the city. It is 420 meters long and in addition to the beach bar for a drink and even a dish or sandwich, it has bathrooms and showers for bathers. Bus: lines 10, 14, 16, 17, 36, 39, 40, 45, 51, 57, 59 and 64. Its length, more than a kilometer, makes it the largest of Barcelona’s beaches. In addition, it is the sports clubs of the maritime zone. It is interesting for people with reduced mobility, since a group of volunteers help them to bathe using amphibious chairs. It has beach bars to take a drink and eat something and and you can as well rent sunbeds and umbrellas. Nearby we find the Torre de Sant Sebastià, the cable car station that connects Barceloneta with Monjuic. Bus: lines 14, 16, 17, 39, 40, 45, 51, 57, 59, 64 and 157. This is the first beach once past the Olympic Port and this makes it one of the quietest and most familiar. If you like sports, it has a volleyball field as well as some ping pong tables. Being a little further away from the metro than the rest of the beaches is somewhat less crowded. Bus: lines 6, 36, 41, 92 and 141. Metro: Ciutadella and Bogatell, line 4. After Nova Icaria beach, we reach the Bogatell beach, which is one of the busiest in the area without being very familiar. It has a length of more than 600 meters and in it you can rent parasols and sun loungers. 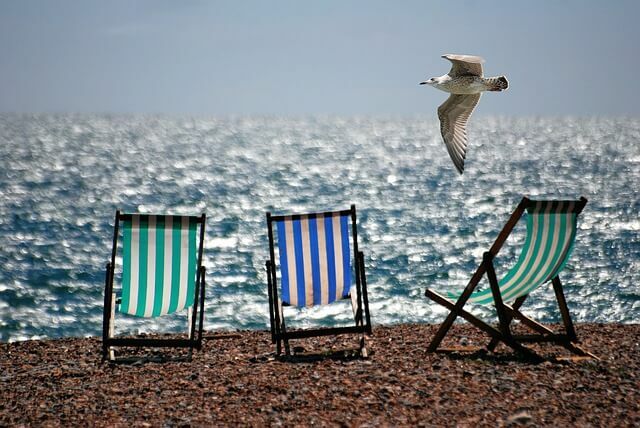 If you want to spend a quiet day, this is your beach. Metro: Poblenou and Llacuna, line 4. This is the beach frequented by young people who like sports because it has a nautical base, volleyball courts, basketball hoops and ping-pong tables. In addition, it has a space used as a nudist beach. Bus: lines 36, 71 and 141. Metro: Selva de Mar, line 4. Taking into account that each time we move further away from the city center, the beach of Nova Mar Bella is frequented by families from the Sant Martí District. It has a library-beach if you want a good read and if after a maritime day you want to visit an authentic neighborhood in full transformation, the Poblenou is at a very short distance. Bus: lines 36, 43 and 141. Metro: Selva de Mar and El Maresme, line 4. This one was conditioned in 2006, it was one of the last ones to be added to the list of Beaches of Barcelona. It is one of the quietest in the city and in it you can rent a deckchair and umbrella and also has a snack bar for drinks and food. If you fancy a day away from the bustle of the city, this is your beach. Bus: lines 7, 36, 41 and 141. Tram: Selva de Mar and El Maresme. You can reach the beaches of Barcelona from anywhere in the city, either by taxi or public transport. We have indicated on each beach the buses, metros and trams that arrive. Do you want a map of public transport in Barcelona? Here it is.